At Hartzell, we are proud supporters of aviators all over the world. Often, we see that support reciprocated as great feedback from our customers. 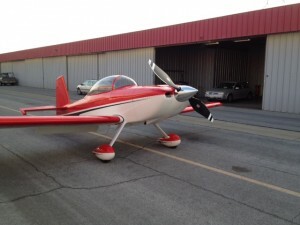 Richard Johnston, an RV8 owner, recently reached out to us with his story. It was so good that we had to share it. We know our composite props are top-of-the-line, but nothing feels better than hearing from a satisfied customer. I ordered a new Hartzell Composite Propeller from Van’s. This was right in the middle of the transition to the G hub model for better cowl clearance. Many thanks go out the Mike Stewart from Team AeroDynamix formation team. They were very involved with Hartzell on the development of the G hub model. Mike offered great advice regarding the prop and its performance. His input greatly influenced my decision to buy the Hartzell. Thanks again Mike! 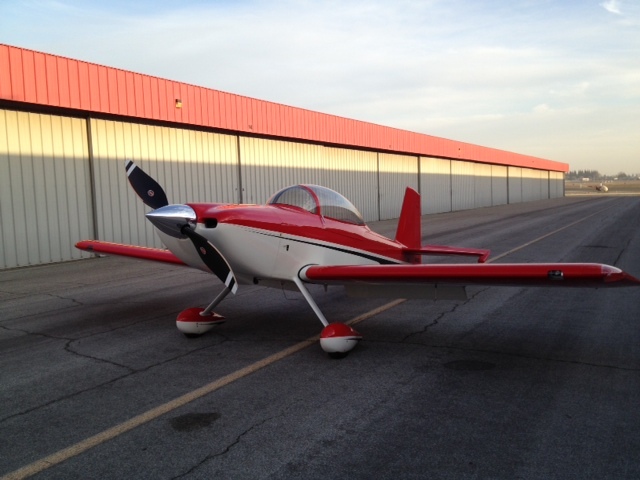 My plane is an RV8 with an IO360-M1B and has always been a great performing airplane with the older prop. I don’t have hard numbers but can tell you this: my airplane has never pushed me back in the seat on roll out like it does now. Take off distance is much shorter. Full throttle on roll out immediately lifts the tail. Climb is increased a lot. Cruise speed is increased also. Top speed might be off 2-3 mph. The top speed loss could be due to the extra clearance on the spinner as my previous one was a custom fit to the old prop and cowl. All around I love the prop! Anyone considering buying one of these will not be disappointed with the performance. It looks outstanding and the longer polished aluminum spinner gives the airplane an even better look than before. Note: After giving the above testimonial, Richard contacted us to say that further testing showed no decrease in top speed. He believes refining the clearance level would even increase the top speed. Our thanks go out to Richard for sharing this great story. Thanks also to Mike from Team AeroDynamix fo giving Richard the info on one of the best composite airplane propellers for sale today. Stories like this drive us to stay on the cutting edge of aviation technology. As long as their are aviators looking to push boundaries, Hartzell will be there with the advanced propellers that make it possible. 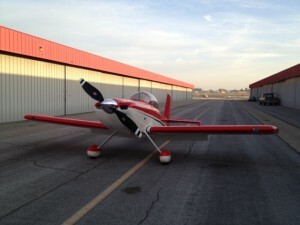 Check out the photos of Richard’s plane below. It is a great machine, and we are proud to keep it flying high. Do you have a story about a Hartzell prop that you want to share? Contact our blog team at SocialMedia@HartzellProp.com, and we’ll try to make it happen.